Dinosaurs Before Dark: Jack and his younger sister, Annie, stumble upon a tree house filled with books. Before Jack and Annie can figure out the mystery of the tree house, it whisks them back to the prehistoric past. Now they have to figure out how to get home. Can they do it before dark, or will they be become a dinosaur's dinner? The Knight at Dawn: Peacocks for dinner and boys in skirts. That's what Jack and Annie find when the Magic Tree House transports them back to the Middle Ages for another wild adventure. They find themselves in the middle of an enormous castle and can hear the beginnings of a feast underway in the Great Hall. But Jack and Annie aren't exactly welcome guests! Mummies in the Morning: Jack and Annie don't need another mummy. But that's what they get when the Magic Tree House whisks them back to ancient Egypt after reading a book on the same subject. There they find themselves in a pyramid face to face with a long dead queen named Hutepi. Will Jack and Annie be able to help her, or will they end up as mummies themselves? Pirates Past Noon: It's a veritable treasure trove of trouble when the Magic Tree House carries Jack and Annie back to the days of deserted islands, secret maps, and dangerous pirates! Will they discover the hidden buried treasure, or will they face the possibility of walking the plank? Night of the Ninjas: Have you ever met a real live ninja? Jack and Annie do when the Magic Tree House whisks them back to ancient Japan in search of enchantress Morgan le Fay. When they arrive, they find themselves in the cave of a ninja master. Will they learn the secrets of the ninja? Or will the evil samurai warriors get them first? Afternoon on the Amazon: Vampire bats and killer ants? That's what Jack and Annie are about to run into when the Magic Tree House whisks them back in time to a South American rain forest in search of the elusive Morgan le Fay. It's not long before they get hopelessly lost on the Amazon River. 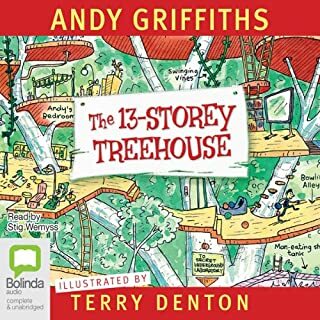 Will they be able to find their way back to the tree house before they are trampled by stampeding killer ants? Sunset of the Sabertooth: The Ice Age is very cool...for two kids in bathing suits! Jack and Annie nearly freeze when the Magic Tree House whisks them back into the time of cave people and woolly mammoths. But nothing can stop them from having another wild adventure - not even a sabertooth tiger! Midnight on the Moon: Three...two...one...blast off! The Magic Tree House whisks Jack and Annie off to the moon - and the future. Their mission? To find the last "M" thing that will free Morgan from the spell. Can they do it before the air in their oxygen tank runs out? Will they mysterious moon man help them? And why is Peanut the mouse acting so strange? 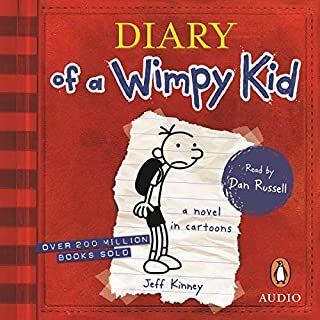 I was nervous buying this on audible due to all the other reviews complaining about poor audio formatting and no chapters. I was glad to see that problem has been fixed and all the content is neatly arranged into chapters now. This volume covers the first 8 books and therefore has 80 audible chapters, 10 for each book, exactly following the printed versions of the book. There is a bonus chapter 81 which is a recorded interview with the author, and was fun to listen. 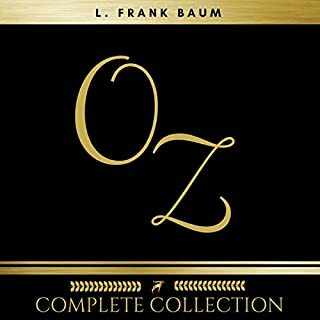 My daughter loves these books and the audio version has made long car drives so much easier. I find the Magic Tree House series to be easily one of the most well thought-out, educational and imaginative series for children this age. It exposes them to a wide variety of subject matters about history, science, geography in a fun way ... it's pure genius. Some other reviewer has complained that the books are "formulaic" as if that's a bad thing. This reviewer is completely missing the point of these books. 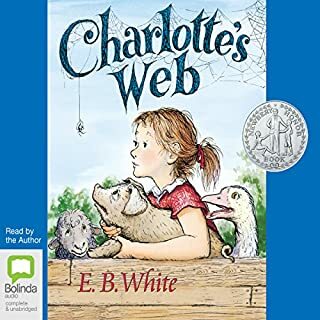 For early readers you want the plot flows to be manageable and just a little predictable so kids can wrap their heads around all the content and new information ... while also learning how to read. 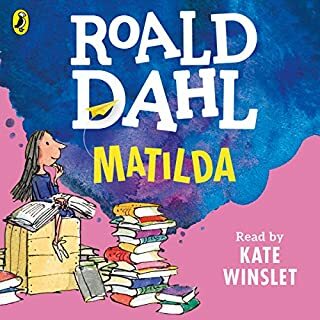 my children, (ages 8, 5, 3) love audio books. 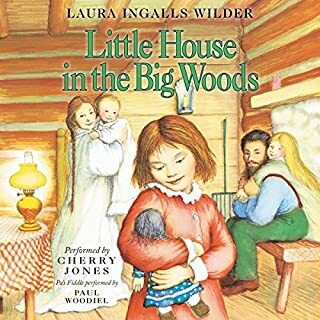 The magic tree house was wonderful for all three. my three year old would even sit quietly when I stated the book. My two older kids loved the storylines. and the magic and mystery. I am so glad we started this series and I look forward to the next set! GREAT audio for k-3rd grade. No we listen to 1 book at a time. 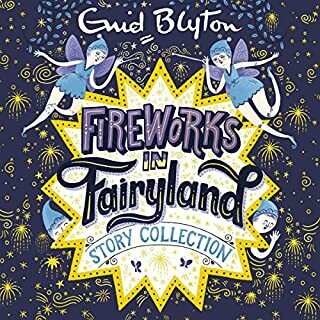 Great for the kids to listen to 1 book while I cook dinner. just right length. The FORMATTING is HORRIBLE! no book breaks! 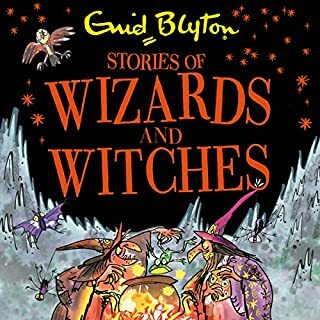 If the kids want to listen to a book again - say book 1 or book 3 - there is NO WAY to find them again you have to start at the beginning and listen to all 8 till you find the one you want!! duh. 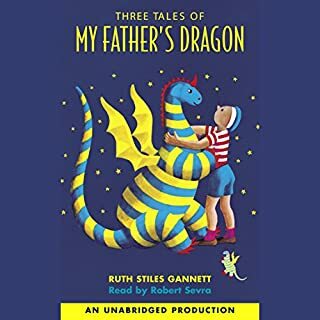 we can put a man on the moon, but Audible cant anticipate formatting collections by book title so that kids can re-listen to favorites easily... come on audible fix this!! Great but has NO chapters or story breaks! 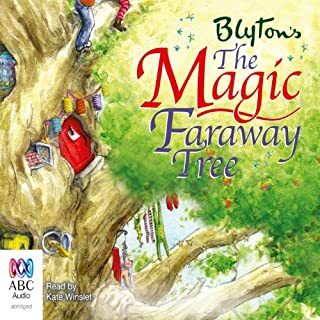 What made the experience of listening to Magic Tree House Collection: Books 1-8 the most enjoyable? After personally exporting, manually saving every chapter and then resaving broken out by book then burning each story on disc to play for the kids then it was great. The terrible formatting was a huge pain and was the deciding point Not to purchase th next 2 volumes. What didn’t you like about Mary Pope Osborne’s performance? If you could sum up Magic Tree House Collection: Books 1-8 in three words, what would they be? After 3 days in bed with the flu plugged into movies I found this series. 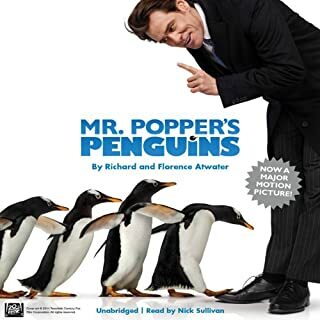 My almost 5 year old was just as happy to sit and listen to this story as he was to watch Pixar or Disney movies. Thank goodness I discovered it as we are burning through the series and are still sick 5 days later :) There are pirates, knights, ninja's, the Amazon and so much more. The imagination soars and we unplug from the tv. Its a win/win. 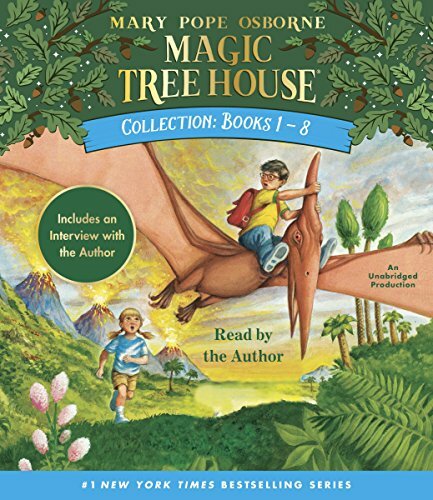 What did you love best about Magic Tree House Collection: Books 1-8? My 7 year old daughter loved to listen to these while playing lego's or dolls. Much better than having the tv going in the background. She loves the books and has read them and is now enjoying listening to them over and over. What was one of the most memorable moments of Magic Tree House Collection: Books 1-8? The trip to prehistoric times was exciting and entertaining. While reading is incredibly important listening and using the imagination is also. This gives the child a different way to use their imagination. Audible books are a great way to encourage development. I also appreciate that Mary Pope Osborne does not use slang. 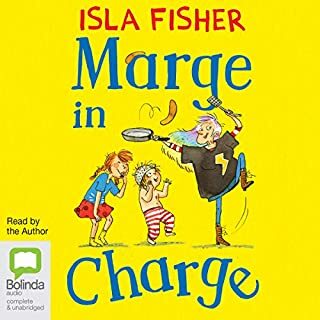 I have found other audible's hard to listen to as they are written in slang or as if a 5-6 year old were speaking. Hearing poor English sets up a pattern for poor speaking in a young mind. I love that this author and this audible did not make me cringe. No chapter breaks or even book breaks. Ugh. What did you like best about Magic Tree House Collection: Books 1-8? What did you like least? The reading quality was fine, but it's impossible to seek around to a specific book or chapter. 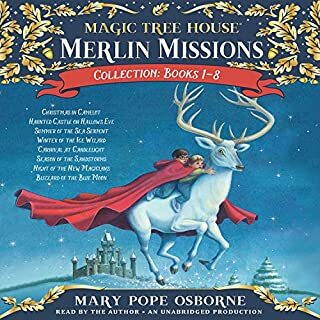 Where does Magic Tree House Collection: Books 1-8 rank among all the audiobooks you’ve listened to so far? Great bedtime read. Our favorite children's book so far. My son kept asking to look at the picture, so he could imagine to story. He had a smile on his face the whole time we listen, and he eagerly gets ready for bed to hear the next story! Have you listened to any of Mary Pope Osborne’s other performances before? How does this one compare? Yes, but it was fun to see the anticipation of hearing the next chapter. Would you listen to Magic Tree House Collection: Books 1-8 again? Why? Love the author reading the stories and the kids love the adventures!! 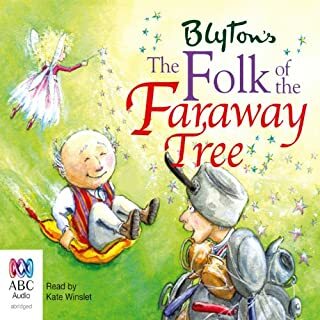 My granddaughter and I listen to this every night as she falls asleep. It settles her down and she is asleep in minutes. Which character – as performed by Mary Pope Osborne – was your favorite? I was hoping for more from this but really should've listened to the clip before buying. The author reads in a girly, sing-song voice, with very little emphasis or feeling. Fine for younger kids, but I'm trying to balance a 5 and 7 yr old boys requirements. 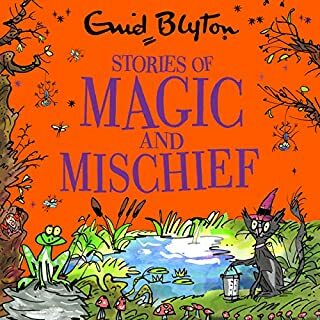 My 7 year old has read loads of the print books and we really enjoyed them. However listening to them read this way, really highlights the basic nature of the vocabulary (he said / she said / look over there I said / where over there she said ... argh). Although the boys haven't asked to actually turn it off, they aren't really excited. This feels young and girly, which is a real shame, because the print books are excellent. What would have made Magic Tree House Collection: Books 1-8 better? 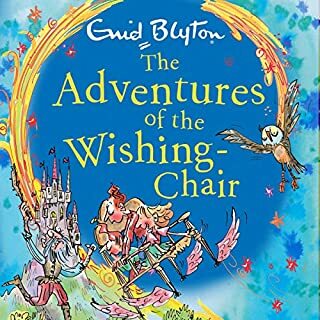 I downloaded this for my grandchild and I to listen to, the story was ok'ish but the readers voice drove me nuts. I lasted 10 minutes then had to switch it off. I'm currently working out how to return it. Would you ever listen to anything by Mary Pope Osborne again? 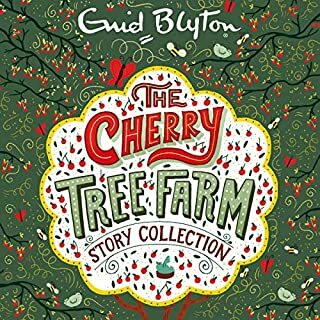 I really enjoyed The Magic Tree House collection, great fun even though they are for younger children - I think they are brilliant. These books are fun and full of as much adventure as two young children can have. 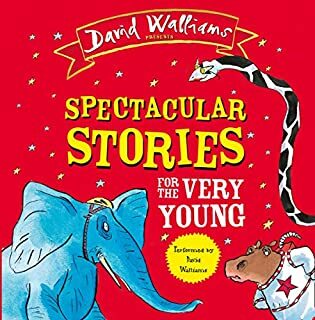 For younger children but def appreciated by them. Short sections with enough action to hold attention.